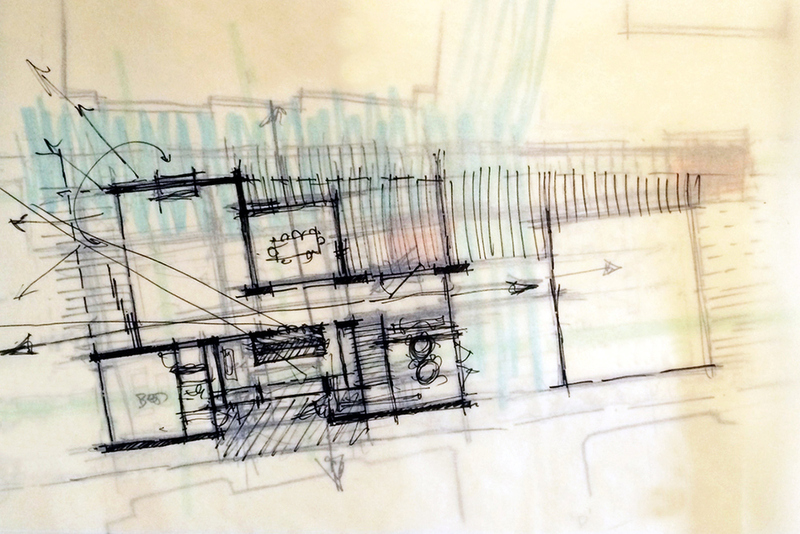 In the early stages of a design, ideas are fluid and the approach is exploratory, and preliminary drawings are a direct reflection of this concept. 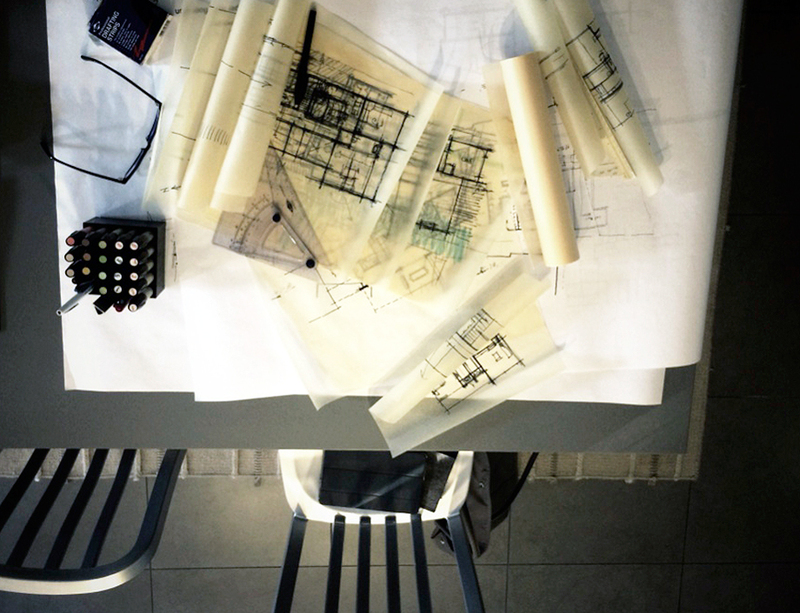 Loose and diagrammatic, initial sketches, overlays and diagrams provide the foundation for the overarching ideas that shape the design development drawings, construction documents and, ultimately, the finished product. 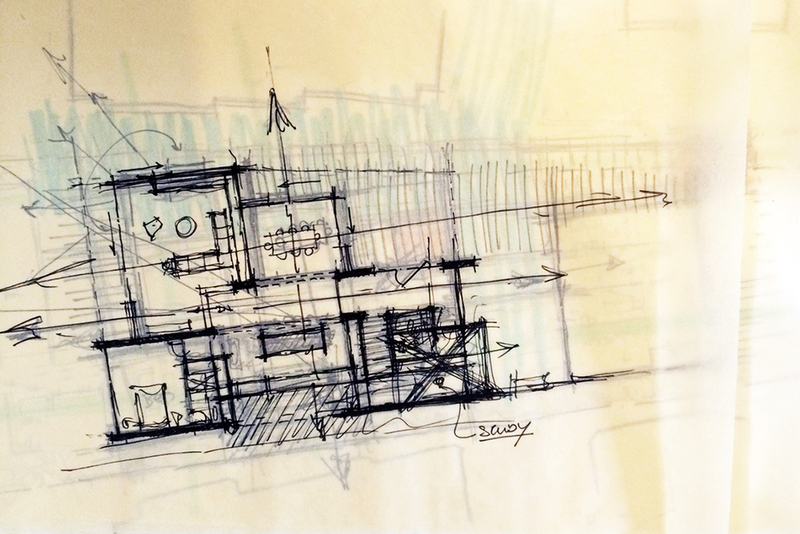 For a glimpse into this process, a first look at a few of our sketches for a new residential project on the boards- a contextual, contemporary home overlooking the ocean in Laguna Beach. To begin, the program objectives, as well as site and property characteristics, are considered from a broad perspective, as illustrated above. 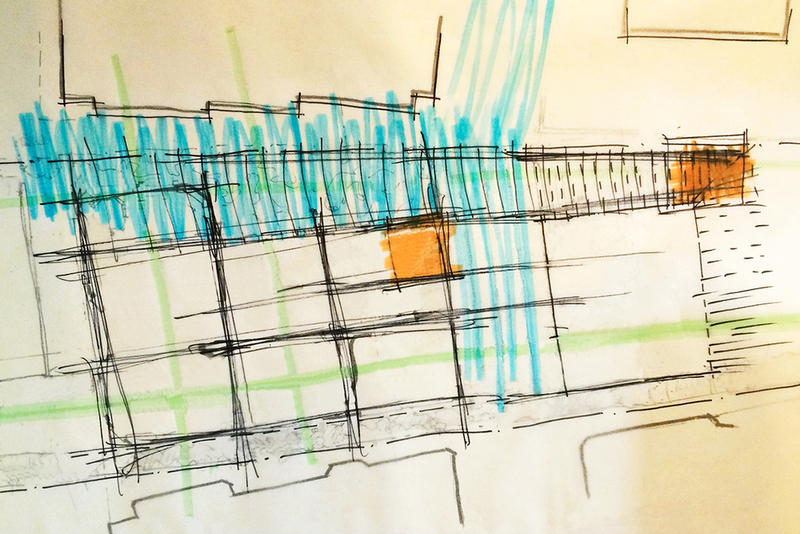 The rough sketch highlights general spatial relationships at the site and with regard to the surrounding context. A quick study of the general spatial organization provides the basis for determining the stair location, access and means of circulation. Arrows represent the main axes of the building form, and roof planes are shown at the locations that provide opportunities to incorporate changes in ceiling height and dynamic interior volumes. The following overlay indicates the primary sightlines and an interior orientation toward the view. The plan concept is then further refined to show openings, furnishings, providing a clearer representation of how the spaces relate to one another as well as to the exterior landscape beyond. An additional overlay of detail shows built-in cabinetry, configures the kitchen layout, and determines storage and utility locations. 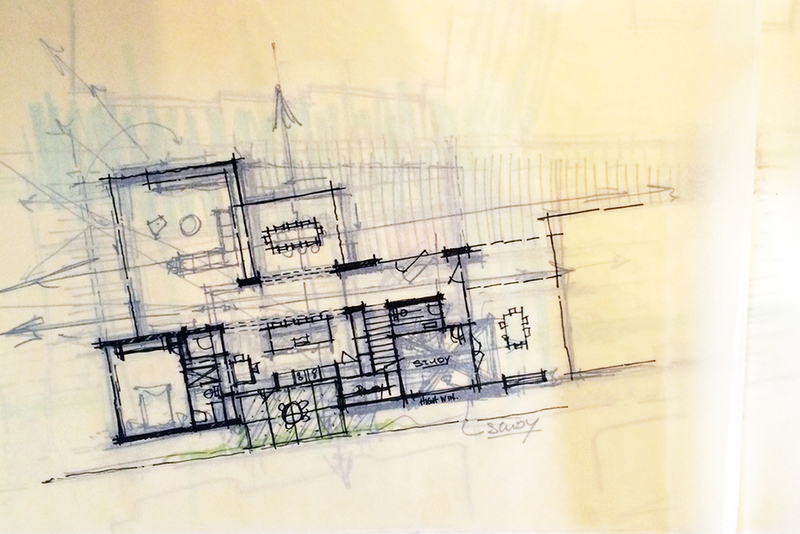 Even though elevations, sections and roof plans haven't been created, they are conceptualized early in the process and reflected in the floor plans; the preliminary second level concept (below) is developed in relation to the main level accordingly. More information on this design and project to come soon, and many thanks for stopping by!